Photo of: East Coast of Ireland: Louth: Baltray. 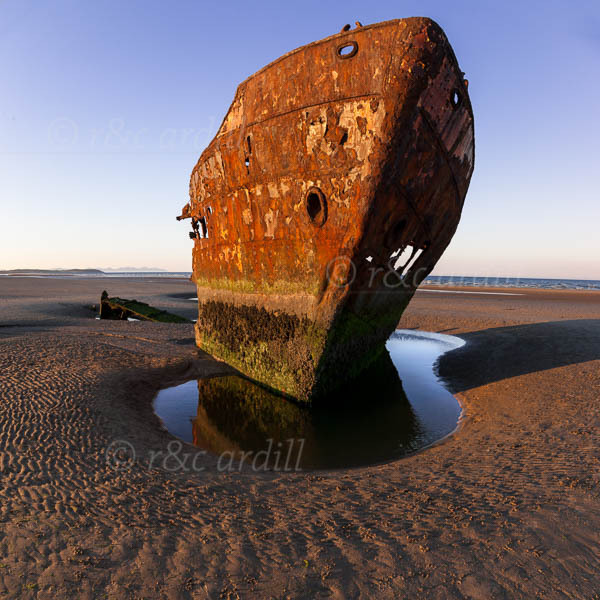 A photograph, taken in late evening, of the wreck of the Irish Trader. This ship was grounded in 1974 en route from Sharpness to Drogheda with a cargo of fertiliser. The strand at Baltray is quite magnificent, with the Cooley Peninsula and the Mountains of Mourne in the distance.